The iconoclastic electrofeminist Madame Gandhi brings her distinctive, unforgettable music to National Sawdust with an evening of activist art. Having toured internationally as the drummer for M.I.A. and Thievery Corporation, Madame Gandhi’s “The Future Is Female” shot to the top of the viral charts in the wake of the 2017 Women’s March, cementing her reputation as a politically engaged artist fighting for gender equity after her headline-grabbing decision to run the London Marathon while free-bleeding and her consistent, impassioned advocacy for improved access to menstrual products. Hailed as one of Vogue’s “stars who continue to shine on a global stage“, Madame Gandhi is not an artist to be missed. Kiran, who performs as Madame Gandhi, is a Los Angeles-based musician, activist and music industry thinker. She has toured professionally drumming for M.I.A and Thievery Corporation and currently DJs, drums and produces music under her own name. Her song “The Future is Female” climbed to #8 on the Viral US Top 50 Spotify Charts following the 2017 Women’s March and her solo EP Voices has received critical acclaim from outlets like FADER, Paper Mag and Milk. Kiran holds a Bachelor’s Degree in Mathematics, Political Science and Women’s Studies from Georgetown (COL ’11) and an MBA from Harvard Business School (2015), and has used her degrees to run her own musical project as well as advise music companies Spotify, Stem, Bonnaroo and D’addario. Between 2011-2013, Kiran worked at Interscope Records for two years as their first ever digital analyst, studying patterns in Spotify and YouTube consumption behavior. In 2015, she ran the London Marathon free-bleeding to combat period stigma around the world, sparking a global viral conversation about how we treat menstruation in various cultures. She now travels often to perform and speak about modern gender equality, and is also working on her full-length album. 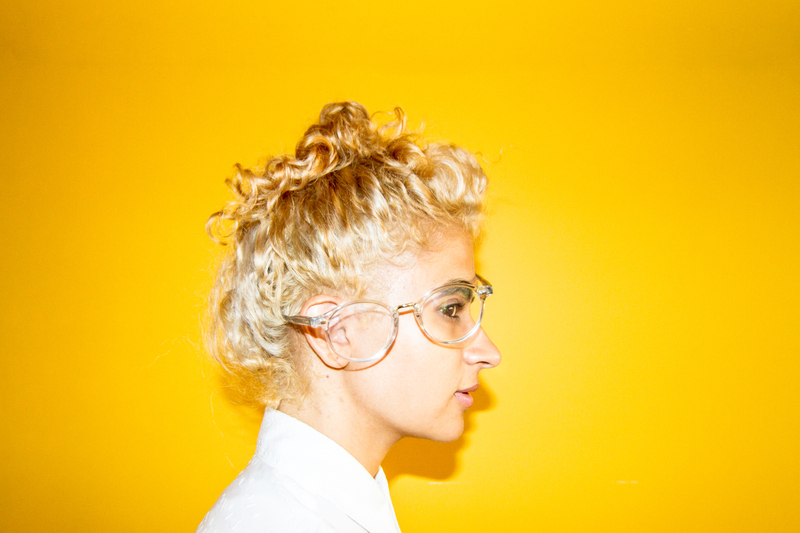 Madame Gandhi’s mission is to elevate and celebrate the female voice. Kiran grew up between New York City and Bombay, India, playing drums and attending The Chapin School. She graduated from Georgetown University in 2011 with a double major in mathematics and political science and a minor in women’s studies. Upon graduation, she landed a job in Los Angeles as Interscope Records’s first-ever digital analyst. Combining her passion for mathematics and music, her job was to understand music consumption patterns on Spotify and YouTube, predict sales trends based on these new volume metrics and create an internal system for how the label could understand the success of an artist online. In 2013, Kiran linked up with Grammy-nominated artist M.I.A. and began touring internationally with her as her drummer all across North America, Europe, Asia and Latin America. That same year, Kiran was also accepted to Harvard Business School’s M.B.A. program, and so when she began school in the fall in Boston, was still touring simultaneously with M.I.A. Kiran’s TEDx talk on “Atomic Living” embodies her belief that by knowing and protecting the things that matter to you most, life’s toughest choices become easier to navigate. As an activist, Kiran uses her voice, music and written work to empower her audiences to be their best and authentic selves. She believes wholeheartedly in the idea that we must strive to live in a world that is “linked and not ranked”, in which each person has something unique to contribute to one another, and therefore we must equip each person with the environment they need to access their fullest potential. Kiran has partnered with various menstrual health organizations to improve women’s access to affordable and safe menstrual care. She speaks often about how menstruation taboo affects women and girls daily around the world, and was part of the early round table discussions that lead to the elimination of the “luxury tax” on tampons in her home city of New York. Upon releasing her first-ever electrofeminist solo EP called Voices, Madame Gandhi now tours full-time as a speaker and musician and is working on her next album. “Music to listen to while everything is burning down,” is how STEFA* describes her debut EP Sepalina. “To create my own sonic landscapes is to build a world I can exist in wholly.” A vocal artist born, raised, and currently living in Queens, she constructs gorgeous and densely layered vocal lines with traces of choral music, classical minimalism, and electronic pop. Jody is a DJ originally from Houston, Texas but now based in New York City. After co-hosting a radio show at WBAR, Barnard College‘s Freeform Radio Station, Jody discovered her passion for mixing and exposing people to new women and femme–identifying artists. While enrolled at Barnard College, she DJed alongside a number of talented women, including Princess Nokia, Quay Dash, and Maia Zoe. After graduating from Barnard College with a degree in Africana Studies, Jody has continued to DJ throughout New York City. Recently, she DJed for Junglepussy on multiple tours across Europe. Jody is also the co-founder of SISTASPIN, a NYC–based DJ collective made up of black and brown women, femmes, and LGBTQ+ DJs and producers. 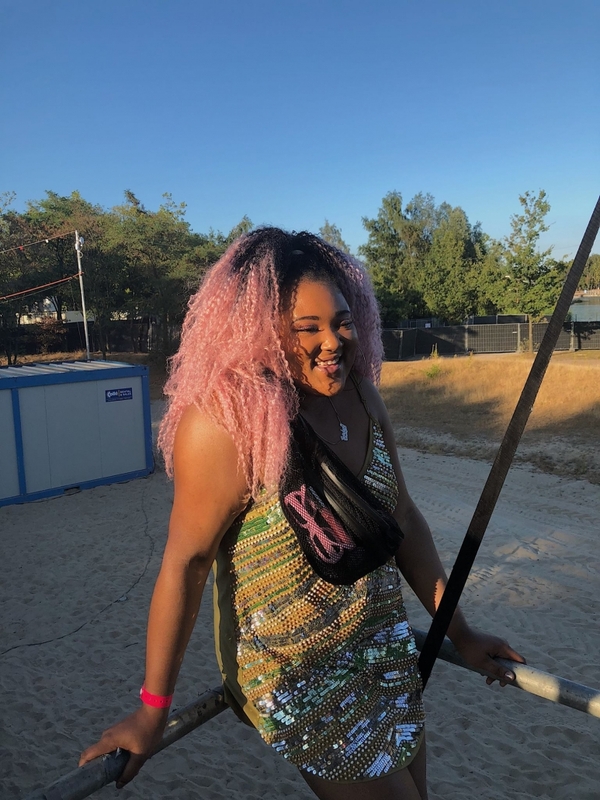 Through her work with SISTASPIN, Jody has produced, curated, and played many events throughout the city that have served as a safe space for centering, prioritizing, and embracing black and brown women, femmes, and LGBTQ+ bodies. As a Black woman, she knows the importance of showcasing black and brown women and femmes who make music, and during Jody’s sets you can catch her spinning some of the most poppin’ tracks out right now. Period!